Owner and operator of JewelryStylist.com, Erica Jill has been in the jewelery business for many years and offers a wide array of necklaces, bracelets, earrings and purses. There are wonderful ideas for brides, bridesmaids, and mother’s of the bride. Jewelry Stylist has over 500 pieces that will meet all tastes and budgets. You could spend all day checking out this great shop for jewelry for your special event. Erica Jill not only sells and designs jewelry, but also provides personal jewelry consultations. 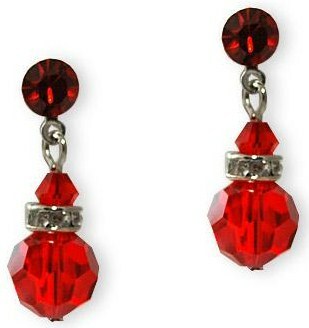 I was sent a gorgeous pair of Red Crystal Earrings, and I can't wait to wear them Christmas Eve! Each earring is made with an AB swarovski crystal on bottom with a silver band and rhinestones, hanging from a red claret post. These earrings are for pierced ears, and the posts are 3/4" in length. They are so much prettier then I expected. They are small enough in size that they look expensive, and they only retail for $10! 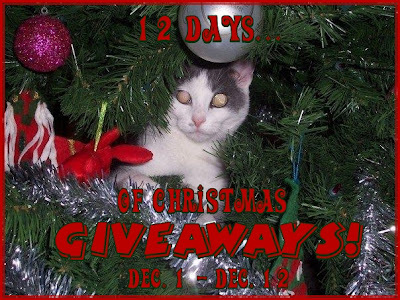 "Win a pair of Red Crystal Earrings from Jewelry Stylist @kimmie_1980 http://tinyurl.com/2gy2dho (12/19) #giveaway"
I like the citrine yellow crystal drop earrings.